is color all black ? include the brake line ? Hello, can you help me I am looking on my usual spoke length calculator and, this rim is not listed. I need advice on the spoke lengths needed for this rim to be used with shimano alfine 8 speed rear - 92.6mm pcd and, shimano alfine dynamo front - 70mm pcd. We recommend using - https://www.prowheelbuilder.com/spokelengthcalculator to calculate the spoke lengths. Is the rim size 349 accurate? I am looking for a rim for my brompton that isn't a JK one. 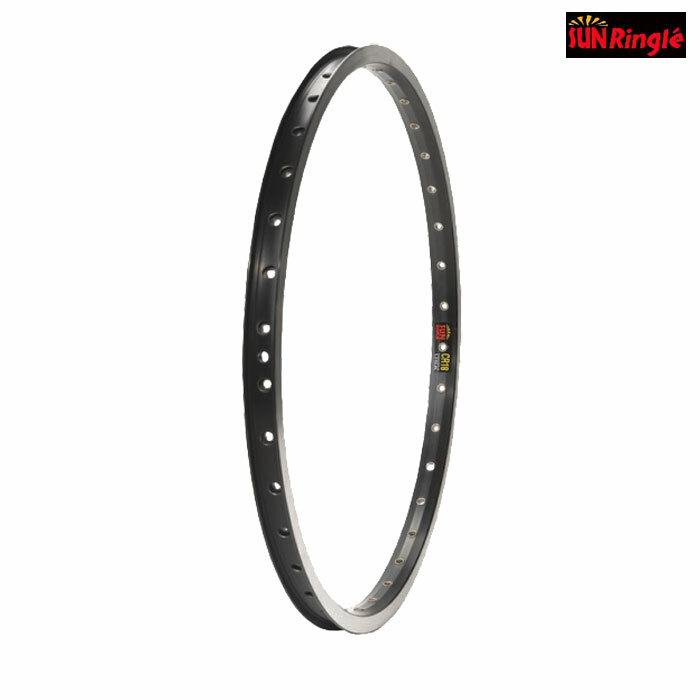 I have checked this CR18 on Sun Ringle website and it doesn't appear to exist in 349 size. Is this rim a 16" 349? To suit Bromptons we offer the Brompton rims in black and silver, CR18 rims in black and silver - such as this one, JK aluminium and carbon. We use these rims for Bromptons regularly and can confirm they are 16" 349. What hub sizes do you recommend for this and what spokes go with it? I have a mezzo i4 with 130mm rear hub and want to upgrade to 10 speed hub and wheel so am looking into a light alternative. Let me know what hub type should i look for and which spokes you recommend. If you sell them send me the link, please. Any 130mm hub will be absolutely fine with this rim, we do Shimano, Hope, DT Swiss and a number of other companies all of which will work with this rim. We do supply spokes and normally recommend DT Swiss spokes, but we would need to know exactly which hub you were going to purchase before we could make a length recommendation.